Portland’s microbaking scene is cooking in unexpected places. 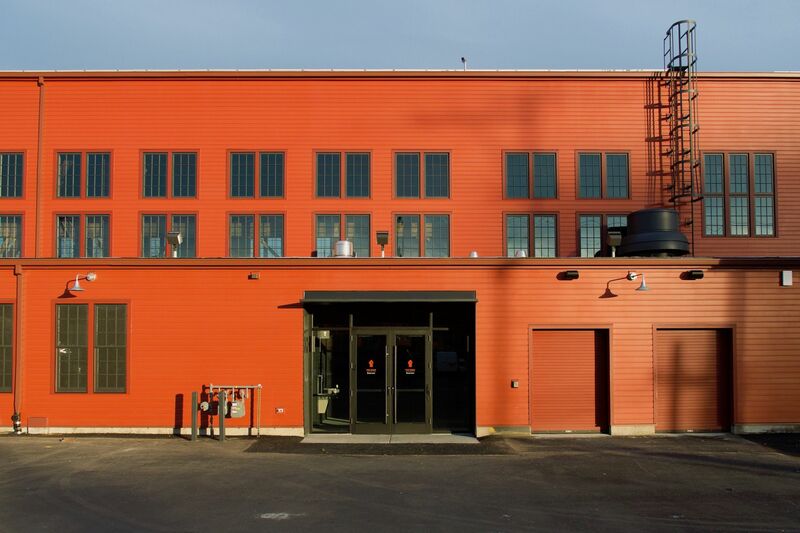 ANY CITY of Portland’s size would be happy to have just one stellar bakery, let alone two that can achieve the repertoire of beautifully honeycombed croissants, exquisitely crusted artisan breads, and decadently addictive desserts of Ken’s Artisan Bakery and Little T American Baker. And even these are merely the top crust in a deep-dish pie of baking veterans, swirling with the richness of Baker & Spice, Pearl Bakery, Nuvrei, and Grand Central Bakery. Now we’re adding another ingredient to the recipe: microbakeries, serving up a blend of Old World and new school from ovens in little-known kitchens, food carts, and farmers market pastry cases. Here are five fresh-baked ideas. 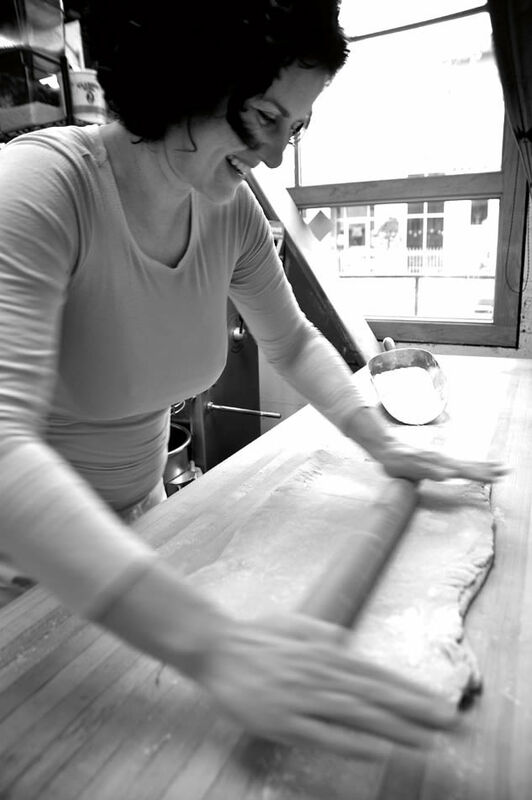 Kim Boyce rolls out hibiscus flower pastry for her fabulous rhubarb handpies. Look for Boyce’s treats at the Daily Café, Ristretto Roasters, Coffeehouse Northwest, Extracto Coffee, and Breken Kitchen. 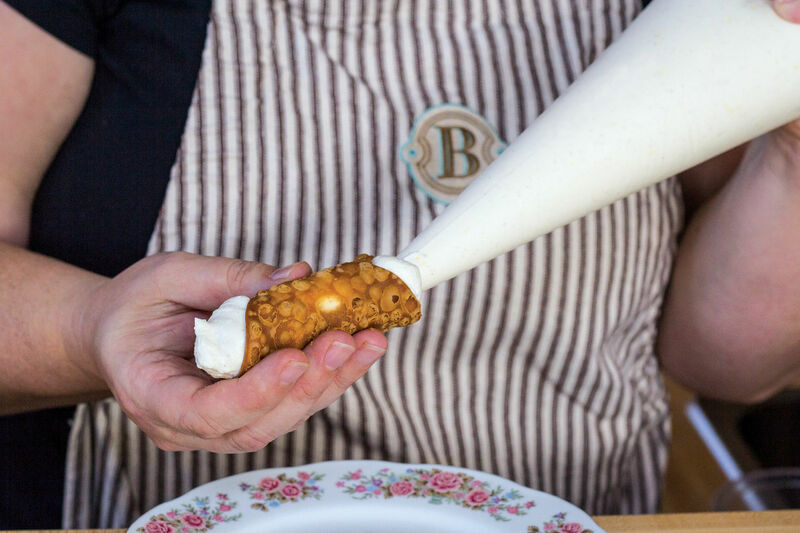 A fresh arrival in Portland last year, Boyce came with a reputation as a pastry player from LA hot spots Spago and Campanile. She also wrote the James Beard Award–winning Good to the Grain: Cooking with Whole-Grain Flours, a revelatory exploration of 12 flours, from amaranth to kamut, giving new life to rustic tarts, cakes, and breakfast goods. Her brave new baking ideas now rise in a Northwest Portland kitchen, to be rolled out to local coffee shops and cafés. While the formats are familiar, from muffins to chocolate chip cookies, the techniques are superior, the flavors strictly Boyce. On any given day, she’s sending forth scones with buckwheat flour and giant swirls of fig jam and completely rethinking cookies. The giant, wheat-powered “sweet and salty” chippers come off like a grand candy bar that wandered in from the granola aisle—blobbed with milk chocolate and full of toasted pumpkin seeds. Recently, barley scones plumped with fresh strawberry preserves popped out of the oven. 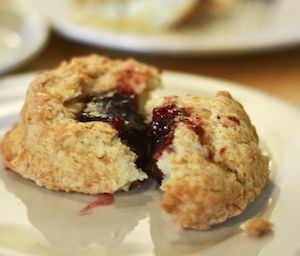 Even Boyce’s handpies can surprise: deep with fruity succulence, radiating the quiet beauty of hibiscus flower, and, yes, oh so flaky. 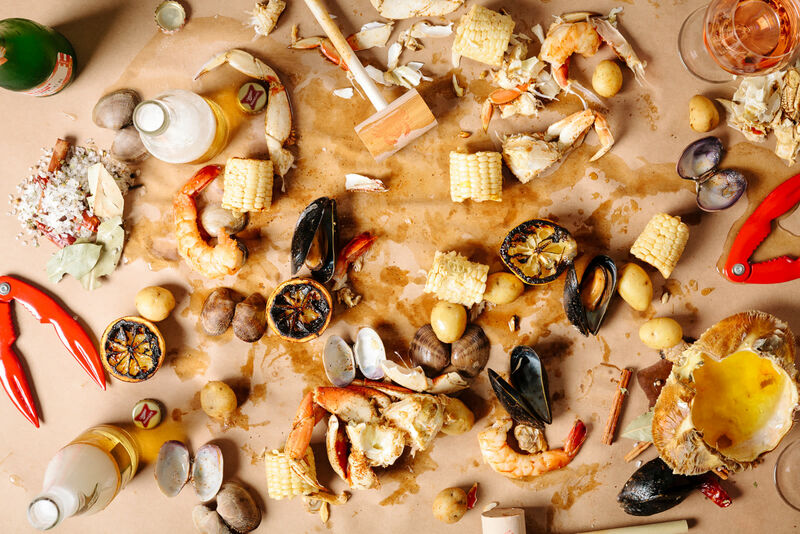 Matthew Zack quietly slipped into the Portland baking scene from Eastern Washington in March, flashing hope and sunshine with a triple whammy of rustic French pastries, chic desserts, and pure gelato in concentrated flavors, from malt to wild lime. His gleaming but slightly sterile shop hasn’t yet made Portland’s fine-tuned pastry map, but serious bakers are already regulars. The changing selection is broad and deep, and Zack masters tricky treats that easily fail in novice hands: cannelés boasting just the right ratio of springy cake and custard influence; delicate financiers (tea cakes) embedded with caramelized pineapple; beautiful Danishes wearing rounds of strawberries, rhubarb, and vanilla cream. Even the gluten-free options stand out, including a dazzling dome of caramel mousse hiding flourless chocolate cake. Keeping up with dozens of labor-intensive treats has Zack wondering, “What did I get myself into?” From all appearances, plenty. This place is a keeper. Sweet Spot: Kouign aman (“queen ah-mahn”), a rare Breton butter pastry. Think big puff of dough baked upside down, then flipped over to reveal flakes of baked-on sugar and crunchy salt. Thirty-one-year-old Kate McMillen is a thinking person’s pie maker, serving up American classics with careful twists and serious all-butter crusts. Her secret formulas, gleaned from her Idaho grandmother Lauretta Jean, helped transform Random Order Coffeehouse on NE Alberta Street into Portland’s pie headquarters. Now, she’s hung out her own shingle, and the results offer new incentives to rise early on Saturdays. Located in the epicenter of Saturday’s Portland Farmers Market at PSU, her “shop” features a faux pastry case starring a salvaged glass door, a mini Camp Chef oven for heating, and vintage serving trays. The personalized setting comes with multitiered stands of latticed pies, like a display from a blue-ribbon table at the state fair. McMillen has also been known to lay down galettes with fresh ingredients harvested from nearby market stands, but the pies are the show, whole or by the slice, plain or with McMillen’s excellent ?vanilla-bean ice cream. Sweet Spot: Delivering three kinds of single-origin chocolate, a tuft of fresh whipped cream, plus chocolate shavings in three bites for $2 a pop, the “chocolate cream sliders” are the stuff of dreams—and cult followings. 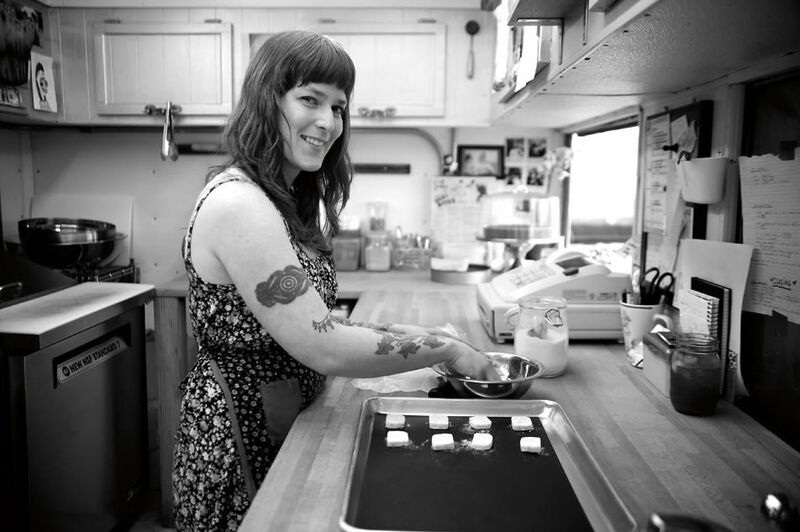 Food cart phenom Kir Jensen dispenses style, sophistication, and sass from Portland’s lone haute dessert wagon. She’ll soon be handing out autographs as well, in The Sugar Cube Cookbook, which will arrive next spring with photos, recipes, and stories from food cart lane. Jensen’s retro-cute trailer has relocated several times since 2008, and hours are famously erratic (she claims 12:30–8, Wed–Sun). Her new home is on SE Belmont Street, where followers hover, waiting for the window to open. 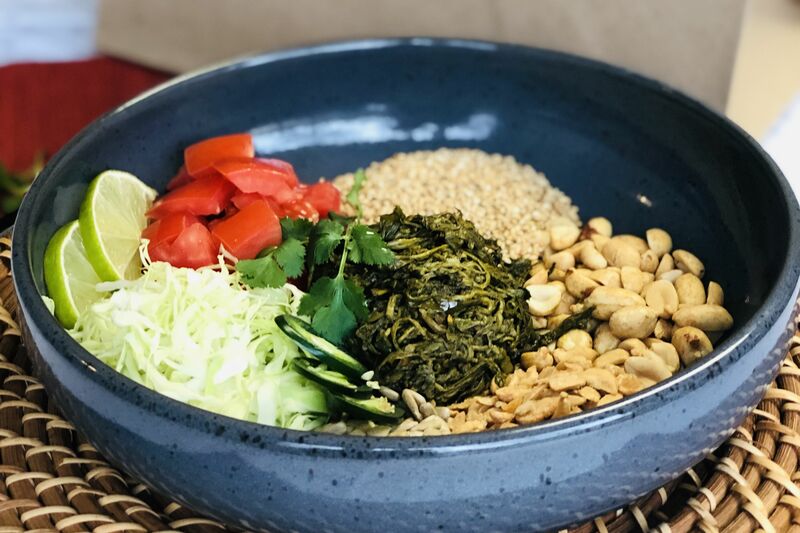 Jensen offers one of the most original lineups in town, always changing, and rarely less than outstanding. 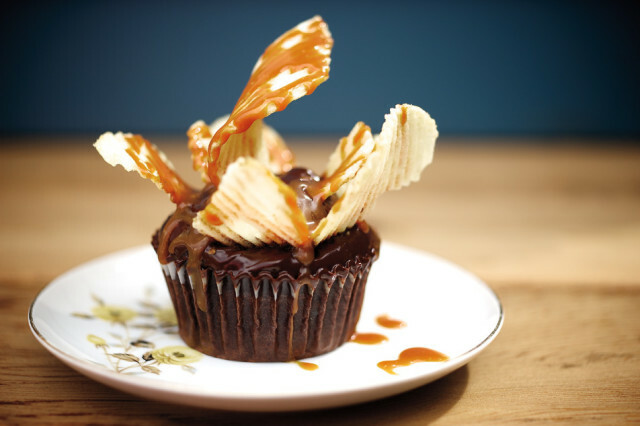 …including the wicked Chocolate Caramel Potato Chip Cupcake. Nothing is simple here: silky panna cottas boast lemon tangs and intense fruit compotes, and the “ultimate brownie” is served warm with a healthy dose of fruity, grassy olive oil and fleur de sel. But it’s the anticipation of Jensen’s inventions that keeps the lines forming. This season it’s “Rosemary’s Baby” cookies dipped in homemade lemon curd, and gingersnap ice cream sandwiches rolled in black and white sesame brittle. Will she be open next time you drive by? Who can say? But know this: on any given day, Sugar Cube cooks up the most inspired baked goods in town. Sweet Spot: The Franconian rye tastes like wild licorice bread, and is simply amazing toasted. Double the fun by calling out its real name: Frankenlaib.